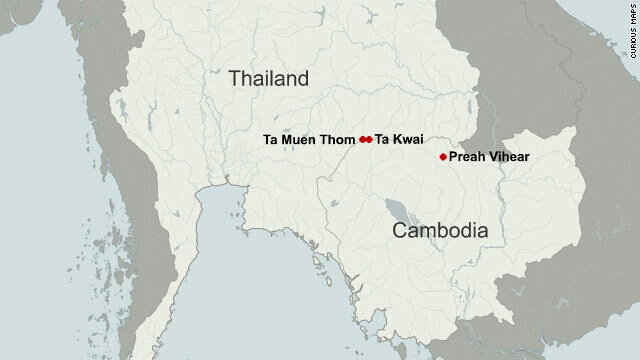 Bangkok, Thailand (CNN) -- Fighting raged on along the turbulent Thai-Cambodian border Friday, one day after a military source said local commanders from both sides had agreed to a cease-fire. Thai military spokesman Col. Sansern Kawekumnerd said Friday that another Thai soldier died and four soldiers were injured in the fighting. At least six Thai soldiers and one civilian have been killed in the clashes that started last week. Cambodia has said three of its troops have been killed in the fighting. The cease-fire agreed upon Thursday was forged at the unit commander level but not at the higher levels of the militaries, a Thai military source said. The source, who asked not to be named because he is not authorized to speak publicly, had said if peace persisted, higher-ranking commanders might meet on Friday. The commanders would be Thailand's 2nd Region commander, Lt. Gen Tawatchai Samutsakorn, and Lt. Gen. Chea Mon, Cambodia's 5th Army Region commander. Cambodia's government spokesman could not be reached for comment. Clashes between the two started April 22 as both sides accused each other of trying to seize ancient temples. Thailand calls the temples Ta Kwai and Ta Muen, while Cambodia calls them Ta Krabey and Ta Moan. Much of the border between the two countries remains in dispute. Both sides claim the disputed temples are in their country. Indonesia has offered to provide observers to the border area and help both sides resolve the crisis diplomatically. Thai Foreign Minister Kasit Piromya met with Indonesian Foreign Minister Marty Natalegawa in Jakarta, Indonesia, on Thursday. Indonesia holds the chair of the the Association of Southeast Asian Nations (ASEAN). Natalegawa also said Thailand welcomes the deployment of an Indonesian observer team to the disputed area. This idea was first agreed upon in an emergency meeting of ASEAN's Foreign Ministers in February, also in Jakarta. The observers have not been deployed, after Thailand later stated their presence was not needed. "I just want to reassure that Thailand will work very earnestly and in a very serious manner with Indonesia in the role of Indonesia as a great facilitator," the Thai foreign minister said. United Nations Secretary-General Ban Ki-moon has urged both nations to pursue "an effective and verifiable cease-fire." In February, fighting flared up along another disputed border area between the two nations, prompting the U.N. Security Council to issue a statement calling on both sides to implement a cease-fire. 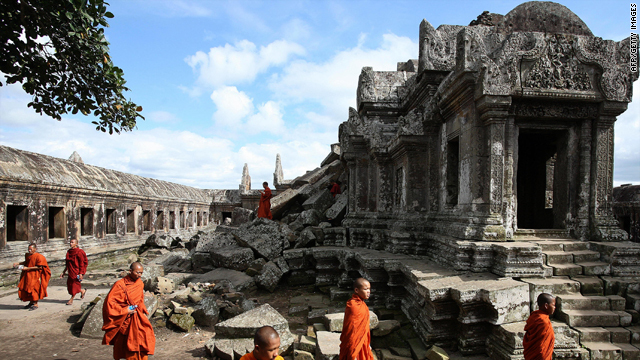 Those clashes stemmed from a longstanding conflict related to the 11th-century Preah Vihear temple. Both Cambodia and Thailand lay claim to the temple, which sits atop a cliff on Cambodian soil but has its most accessible entrance on the Thai side.